Google updated its official Camera app with Wear support recently, but that just makes the watch into a shutter button with image review. 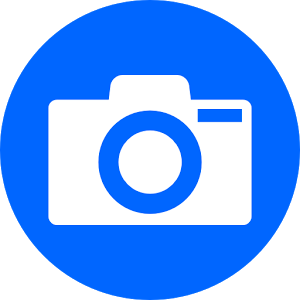 Wear Camera Remote is a proof-of-concept app that streams the viewfinder to Android wear and works as a shutter. When you install the app on your phone, it syncs over a Wear APK to the watch. Starting the camera app from either end will open it on the other, then your watch gets a feed from the phone instantly. 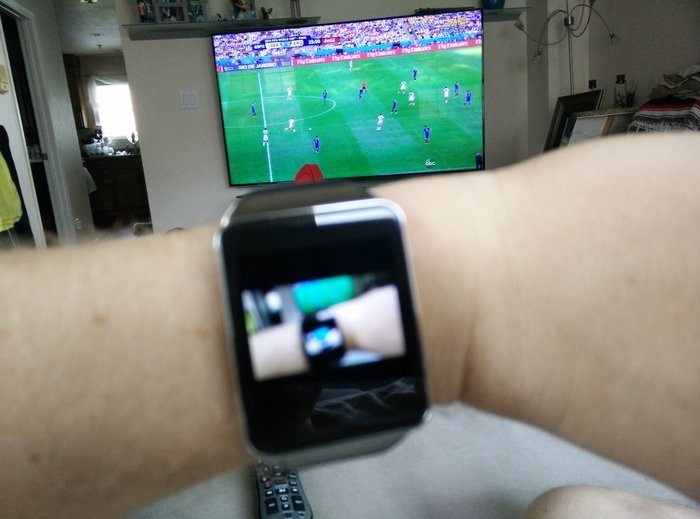 It's delayed about half a second and the image is a bit pixelated (in addition to being tiny), but that's because of Bluetooth bandwidth and the limited resources available to Wear apps. You can tap on the screen to snap a pic or long-press for a five-second timer. One particularly neat thing is that it works even when the phone's screen is off (let's ignore the potential creeper uses for now). This is definitely still a rough example of better photo capture on Android Wear. The Wear end only works with the main Wear Camera Remote app on the phone, which is lacking in options – there's no tap to focus, no settings, and no flash. It's also a bit crashy. Don't expect this to replace your camera app of choice, but it's still kind of awesome. The app will evolve over time, and the developer has posted the source for others to play with.